Singapore Handy Man: How To Install Your Own Basin? How To Install Your Own Basin? Homeowners in Singapore who have never shopped for a bathroom wash basin before will be surprised at the remarkable diversity and number of options that are available. Whether a wash basin is being installed in a newly constructed house or an existing, old one is being replaced, the complexity and cost of the installation depends on the style of the basin. 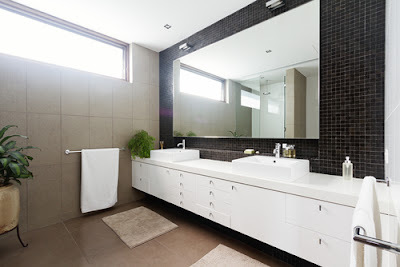 It may not seem so, but installing a basin can turn out to be quite a challenging task, one that it is best left to an expert and professional handyman who has who has experience of providing plumbing service in Singapore. Yet, homeowners who still want to take the DIY route, here is a rough guide. NOTE: One of the reasons homeowners are not advised to install a wash basin in their house on their own is that they may not follow safety regulations and protect themselves against hazards. There are numerous local regulations in Singapore that govern plumbing work involving pipes, and homeowners who are unsure about them should consult with a professional handyman. Step #1: The water supply valves beneath the existing basin should be turned off so that the water supply is not going to the basin. If the valves cannot be found or are not present, the main water supply will have to be turned off. Step #2: If an existing basin is being replaced, it will have to be removed. The drain and supply lines will have to be disconnected from the faucet using a crescent wrench or locking pliers. It is normal if a little bit of water leaks out. The drain and basin are connected to each other by a metal or plastic nut, which will have to be disconnected using locking pliers. The perimeter of wash basins are usually connected with caulking, so the basin will have to be pulled out. Step #3: Wash basins tend to come with a template, which makes it possible to mark the location of things like the faucet holes. This way it can be ensured that the basin fits the desired space. If it does not, this can be quite problematic and the assistance of a handyman is likely required. Step #4: If the basin fits, it will have to be caulked after being put into place. The places where basins usually need to be caulked depend on their design and the opening where the plumblines lines connect to it. For instance, if a basin is being installed in a granite or stone counter, a diamond carbide tip will have to be used to pre-drill holes. Step #5: A basin usually comes with connective clips that can be used to anchor and secure the unit into place. Although most of these clips function like a lever, their design depends on the design and type of basin. Step #6: New faucets can usually be screwed onto a basin’s faucet assembly in the clockwise direction, and they are secured either with a rubber gasket or a silicone sealant. The faucets can be anchored by using lock nuts from beneath them. The design of the counter and fixtures determines whether the basin or the faucets should be installed first. Regardless, before anything it installed, the template should be used to measure everything. Step #7: The tailpiece will have to be dropped through the sink and then be screwed from beneath. Usually, there is a rubber gasket that seals the basin and tailpiece together, but plumbers’ putty or silicone can be used for that purpose if a gasket is not present. Step #8: The fixtures and water lines should be compatible with each other. If the lines that come with the basin do not match the valves, the correct ones will have to be purchased. Two pipe threads can also be spliced together using Teflon tape. Step #9: Water supply lines can only be connected to the faucets if they are screwed onto the corresponding joints. All faucets come with instructions, which specify the size of the connectors. Essentially, each water supply line should have an end for the faucet and one for the valve. To ensure that the joints are not strained and stressed, the lines should be adequately long. Generally, there are always rubber gaskets at the “female” connection piece on each pipe’s both ends. Step #10: The device that makes it possible to close and open the basin drain is known as the pop-up, which will have to be dropped into it from top. The pop-up also comes with instructions and should be installed accordingly. Whether or not washers will be required depends on the pop-up being used. Step #11: If the installation has gone well, the basin should almost be installed. There will still likely be gaps in areas around the top of the basin where it meets the wall and those will have to be filled up using caulk. It takes approximately 24 hours for caulk to try, so the water should not be turned on until then. Even after the caulk has dried, it should be made sure that there are no leaks. Step #12: Of course, the water will have to be turned on in order to check for leaks. There is always the possibility that the rubber connections may have small leaks, so they should be tightened further. There may also be a leak in the drain itself, which occurs if the connector gaskets have been over tightened and the seal created is being strained. If this is the case, the gaskets will be to be loosened a bit. A new washer can also be used instead. The gasket beneath the tailpiece will also have to be checked and the nut down there should also be tightened or a new washer or more silicone can also be used. 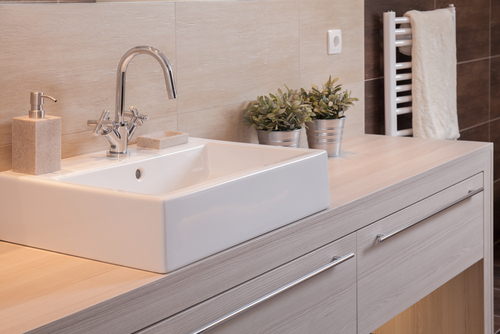 It should be apparent that the installation of a wash basin is no easy task. Plumbing projects rarely are. It is a complicated process and mistakes can be made, so it is much better to make the right choice from the get go by hiring a professional handyman who provides plumbing service in Singapore.